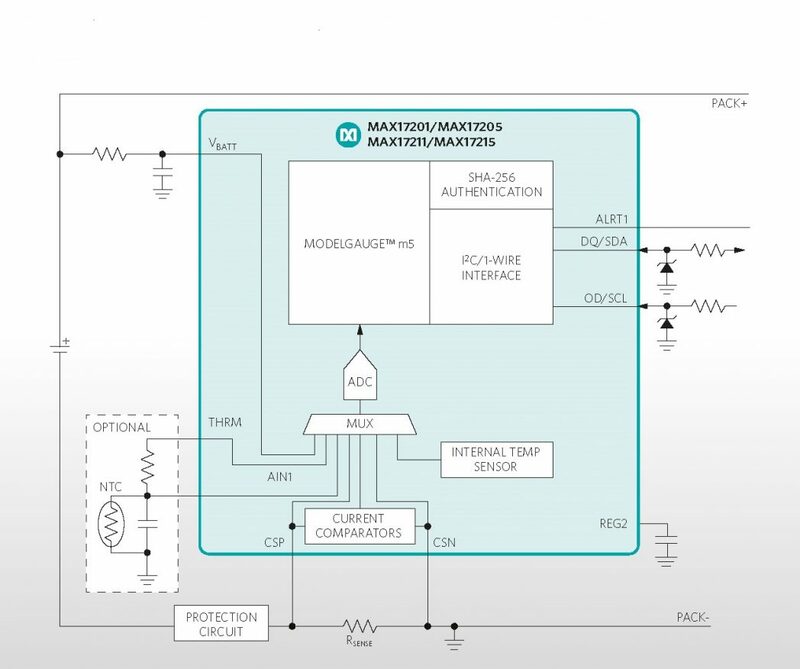 Invisible power and data connectivity is offered with mag-Net, the auto‑aligning and self‑coupling textile-mounting garment connector that is available from TT Electronics. It is, says the company, the first C4I2 MIL-spec connector specifically designed for textile mounting. Unlike circular barrel connectors, the flush rectangular connector has a self-aligning, automatic magnetic latching system for one-handed blind mating. No moving parts provides jam-free operation when connecting equipment to garments and load-carrying systems. The lightweight design is not bulky, maximises mobility and eliminates cable snag hazards. The abrasion-resistant, flush-flat receptacles are virtually self-cleaning and require no protective caps, ensuring maximum durability and full environmental-sealing, both in mated and un-mated conditions. The eight-way contact configuration supports power up to 8A and USB 2.0 high-speed data transmission. Cable plugs can be oriented to allow for cable entry in any direction. Beta and alpha testing of the connector system has received positive reactions from various military authorities and the manufacturers of rugged equipment, reports the company. The garment part comprises a low-cost, garment cage and connector receptacle. The cage is made of thermoplastic, which is strong, durable and chemical- resistant. It can be securely sewn into clothing by garment manufacturers. The non-polarised cage provides an aperture for the connector receptacle, which has a ruggedised, lightweight shell and thermoplastics chosen to provide maximum abrasion resistance. The magnets are fitted under the front face of the insert, which is flush to allow finger-wipe cleaning. Removable sides in the backshell enable cable or e‑textile entry from four directions. Once terminated to the wiring harness, the receptacle is introduced into the cage from behind. 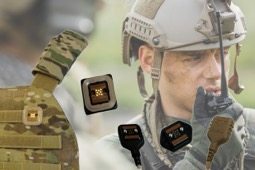 The plug connector can be fitted to equipment such as personal role radios (PRRs) or batteries, providing a direct connection to the vest. Plugs feature ‘pogo’ spring contacts, machined from copper alloy, for high mating cycle resilience and easy cleaning, with an optional first-mate, last-break contact configuration. At the rear, PCB tail contacts provide for flex-print or regular PCB termination. An O-ring gasket and blind holes ensure environmental sealing when the plug is fitted into an equipment box or enclosure. For cable connections, an over-moulded flying lead assembly, which is EMC shielded to MIL‑STD‑461 and Def Stan 59‑411. Cable plugs can be over-moulded to match any colour requirement including Multicam, MTP and Coyote. Both equipment and cable plugs are available in either latching or non-latching versions and the standard garment receptacle can accept either type. Endurance is 5,000 mating cycles, operating temperature is -40 to +80 degree C, and the connector is sealed to IP68, corrosion resistance to 500 hours salt fog, contact resistance up to 15m Ohm, fluid and shock resistant to MIL-STD-810G and the connector system is RoHS-, REACH-, and WEEE-compliant.